CIRCLE was established in 2017 by a group of practitioners in the field of entrepreneurship, education and training to serve as a platform to establish international collaborative networks as well as facilitate international networks and cross-border projects. CIRCLE is a not-for-profit associating professionals with more than 15 years of international experience in the definition and implementation of projects for the promotion of international and cultural exchanges, European integration, training planning and delivery, networking, project management, entrepreneurship and business development. CIRCLE is active in the development and deployment of awareness and visibility campaigns to reach various categories of stakeholders such as policy makers, academia and research community and civil society at large. Awareness and information campaigns relate to the specific aspects of European integration with a view to entice proactive participation from partners within the European and extra European territory. - TRAINING: planning and developing training pathway on cultural and European topics linked to cultural exchanges, European policies and programmes, international exchanges, European integration, networking, entrepreneurship, business development, project management, administrative & financial reporting. The Association relies on an international network of practitioners from academia, public and private organisations that share the ambition of CIRCLE in promoting international collaboration and multi-stakeholder participation to advance European Integration. 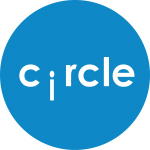 Based in Zielona Gora, Poland, CIRCLE represents a virtual hub for the creation and sharing of knowledge and exchange of practices in networking, entrepreneurship, business development, project management, training providing, cultural exchanges and is proactively engaged in international collaborations with partners from most EU countries as well as international partners from outside of Europe.